We are pleased to announce that Amazon FreeRTOS code for ESP32 is available on the Amazon FreeRTOS GitHub repository. Espressif Systems is a multinational, fabless semiconductor company established in 2008, with headquarters in Shanghai and offices in Greater China, India, and Europe. For the last decade, they have been focused on producing connected microcontrollers and System-on-Modules (SoMs) for the emerging mobile and Internet of Things (IoT) markets. 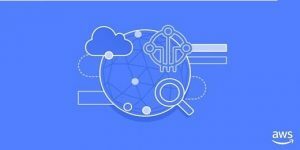 Espressif has worked diligently to connect a number of their popular IoT SoMs to Amazon Web Services (AWS) IoT services. 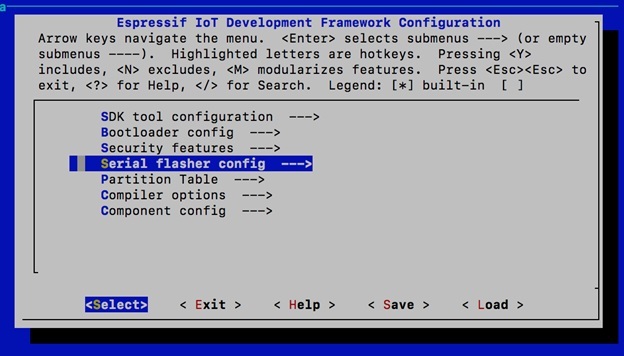 Here, we’ll discuss how to start running Amazon FreeRTOS on ESP32 in order to connect to AWS IoT Core. Please make sure that drivers for the board are installed. When installing the driver for Silicon Labs CP2104 on Mac OS High Sierra, you may need to restart installation after whitelisting the installation package in System Preferences > Security & Privacy. To get started, follow the ESP-IDF Getting Started Guide for your platform to set up the toolchain (Xtensa GCC compiler) for your OS. Please stop at the “Get ESP-IDF” section. 2. There is no need to set an explicit IDF_PATH; it will be picked up from amazon-freertos itself. 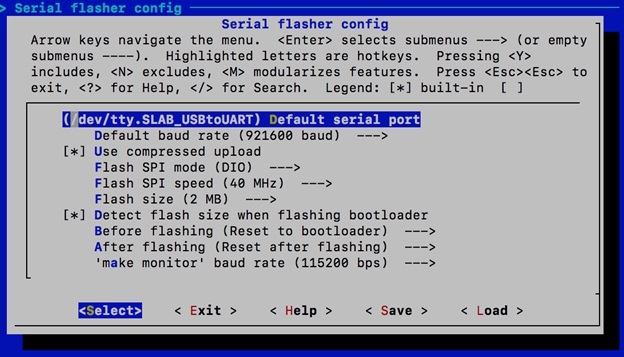 Please note that for ESP32-DevKitC, the serial port will be COMx on Windows, /dev/tty.SLAB_USBtoUART on Mac OS, and /dev/ttyUSB0 on Linux. 4. Set AWS credentials and WiFi configuration. Navigate to ~esp/amazon-freertos/demos/common/tools/aws_config_quick_start/ directory and edit configure.json file. 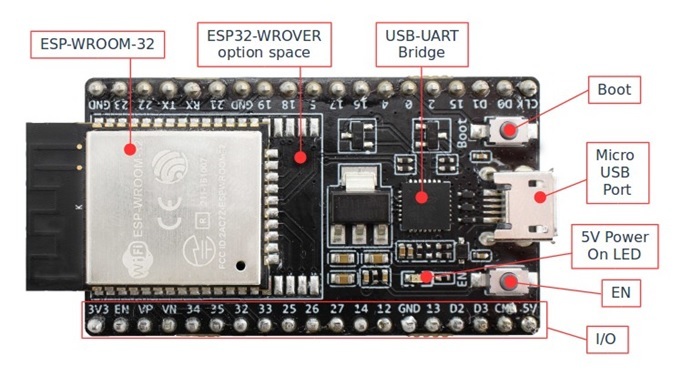 As an example, it can be like the one below, where afrtest is the AWS IoT Thing name, myAP is our wireless network SSID ESP32 development board will be connecting to, codehappy.2018 is the password for our wireless network, and eWiFiSecurityWPA2 is the security technology we use with our access point. Other possible values for security technology are: (eWiFiSecurityOpen, eWiFiSecurityWEP, eWiFiSecurityWPA). Please avoid using anything except WPA2, as it is one of the easiest attack vectors on your wireless network. 6. Make sure the AWS CLI is installed on your system. For more information, see Installing the AWS Command Line Interface and also Configuring the AWS CLI. This script creates an IoT thing, certificate, and IoT policy. It will attach the IoT policy to the certificate and the certificate to the IoT thing. It will also populate the file aws_clientcredential.h with your AWS IoT endpoint, WiFi SSID, and credentials. 9. Build and upload demo project. This application is the default Amazon FreeRTOS MQTT echo application, so please subscribe to “freertos/demos/echo” in AWS IoT. Test the console and monitor messages from your device. 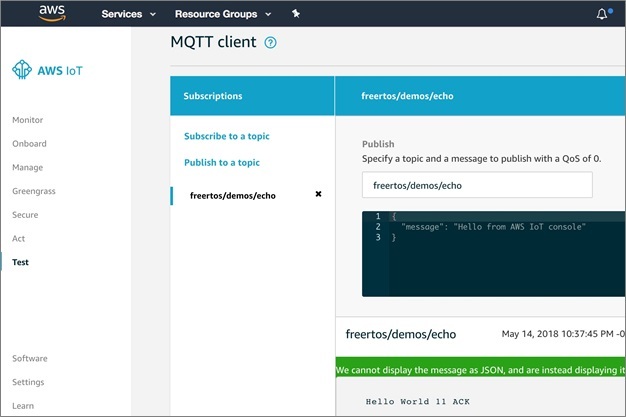 In this post, we demonstrated how to configure and deploy a simple IoT application that publishes and receives messages to AWS IoT Core using the MQTT protocol. For a detailed overview of Amazon FreeRTOS on the ESP32 platform, please refer to the official documentation.